Guess what, folks? 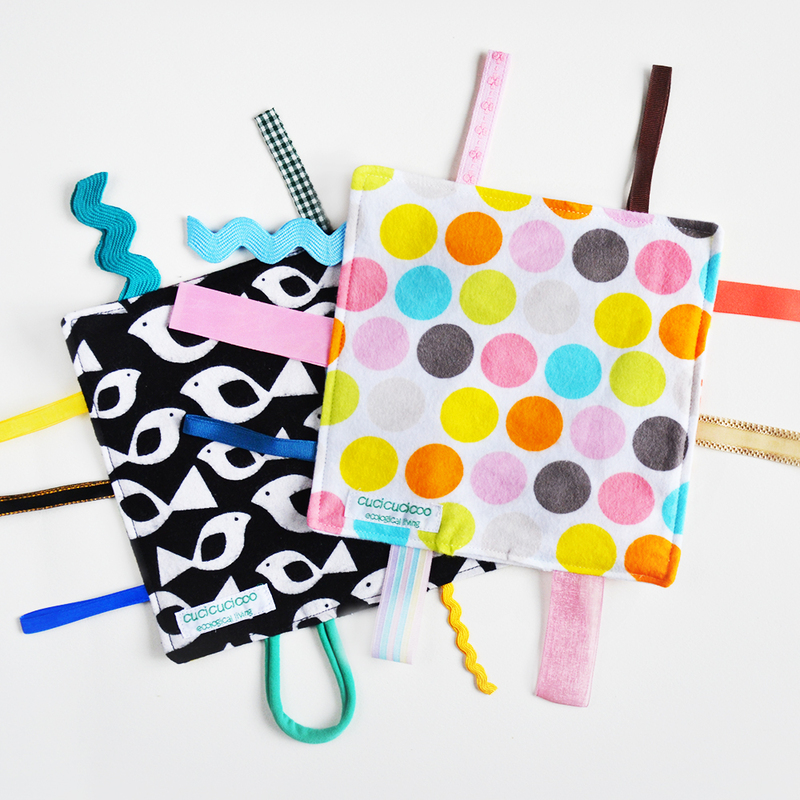 My online pattern shop is open! It is not all perfect-looking quite yet, however it is perfectly functional! Right now there are four patterns available, and my first multi-sized clothing pattern is also all ready, however I will add it next week because there are still a couple of tutorials on techniques linked to in the instructions that I still haven’t published. 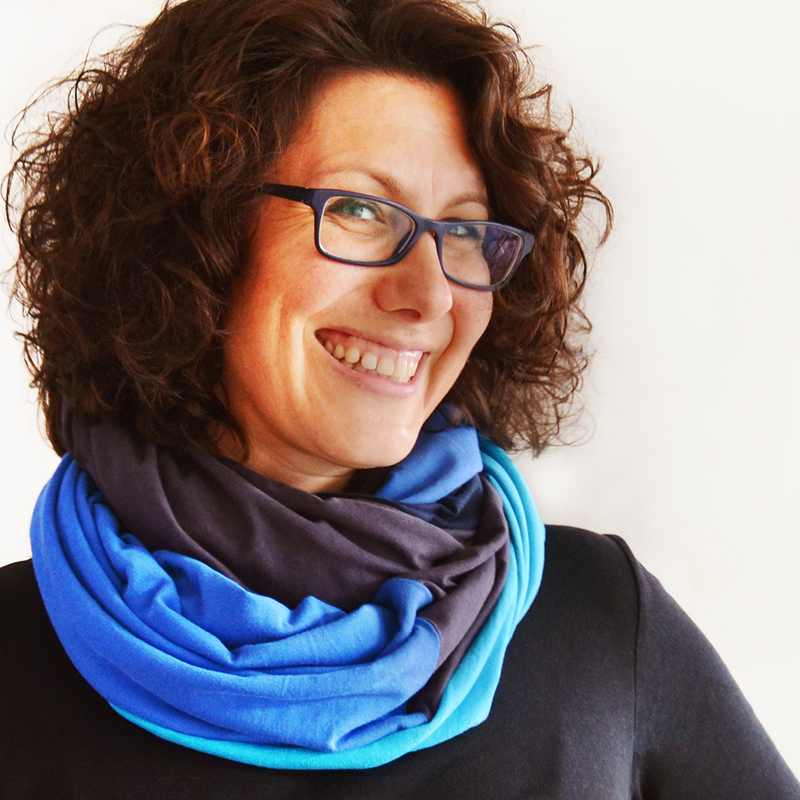 (update: the shop now has other patterns, too!) I also have a bunch more patterns in the works AND I’ve started preparing my patterns in print form for those who prefer that format! To celebrate, I’m offering a 20% discount on all digital PDF patterns until October 18, 2015, with the coupon code “open20”! 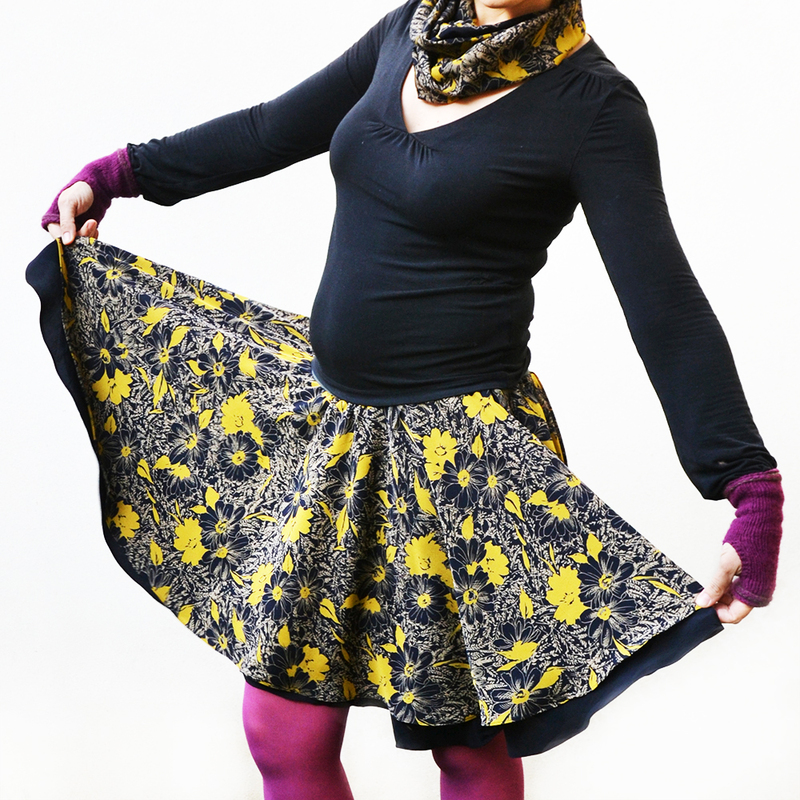 Just go to the shop, choose your favorite patterns, and insert the code at checkout. 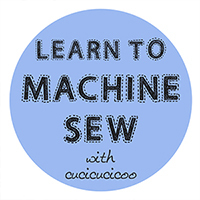 So, what better way to celebrate (besides a discount, obviously) is another Cucicucicoo Learn to Machine Sew lesson on using sewing patterns?! One of the many reasons I love sewing my family’s clothing is that you can get a perfect custom fit for your body shape. 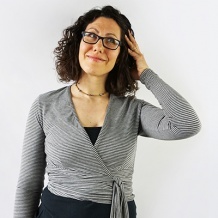 Sure, when buying ready-to-wear clothing, you can choose the size, and sometimes even the length, but how many times are the designers’ standards not quite right for your unique body? 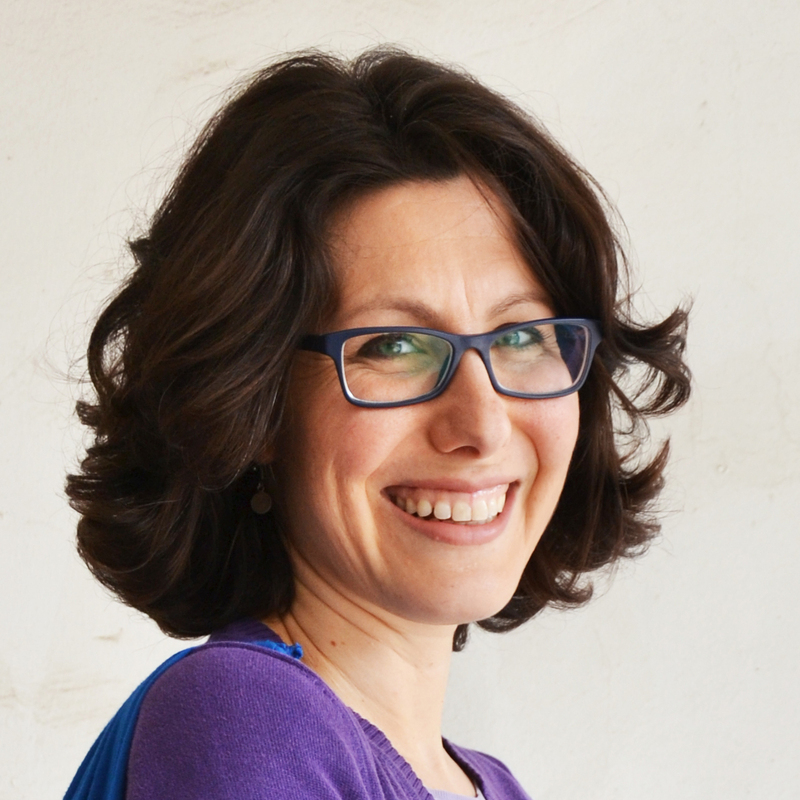 I am on the tall side and both of my children are very thin for their height, so we have problems with getting clothing to be long enough for us. So today I’m showing you my favorite way to modify a garment sewing pattern: lengthening and shortening legs, arms, or torso! Read on to find out how! 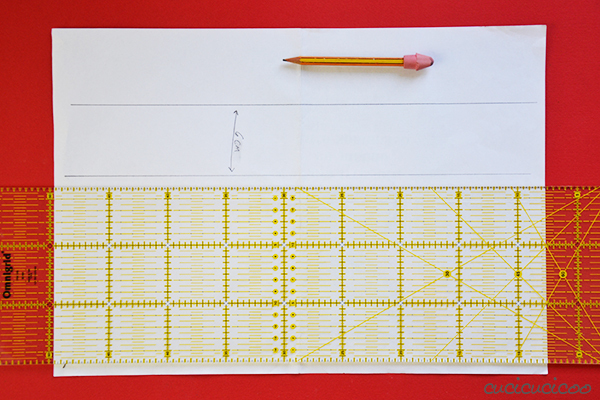 You will need your paper or home-printed pattern, a pencil, transparent tape, scissors and a ruler (preferably a quilter’s ruler*, like you see above, to be able to line up your markings perfectly). There are two ways to modify a pattern. 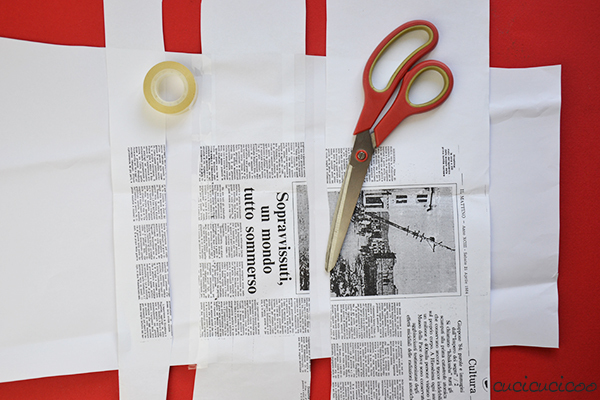 You can either cut and tape (my preferred way), in which case you’ll need some scrap paper if lengthening. 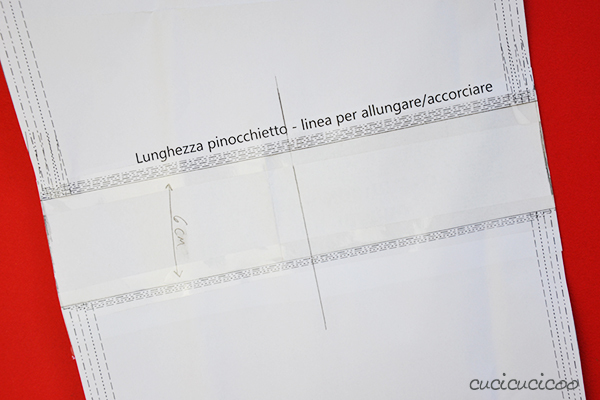 Or you can trace the pattern, modifying it as you go, in which case you’ll need some tracing paper (I use this cheap roll of medical paper*, which is perfect). 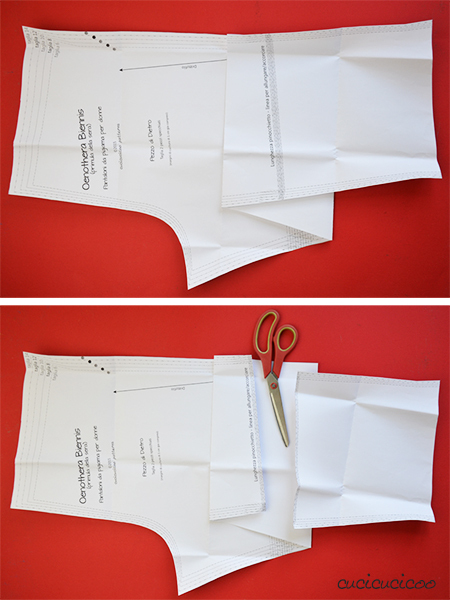 The first thing to do is to READ THE PATTERN INSTRUCTIONS! As every pattern and designer is different, the beginning of any pattern’s instructions will give you valuable information on how to use it. 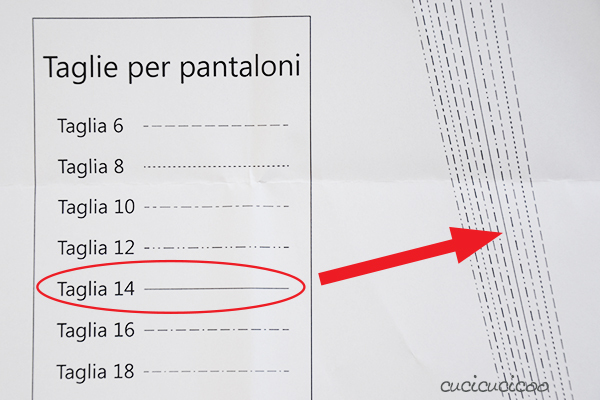 Then you will choose your size according to a size chart. 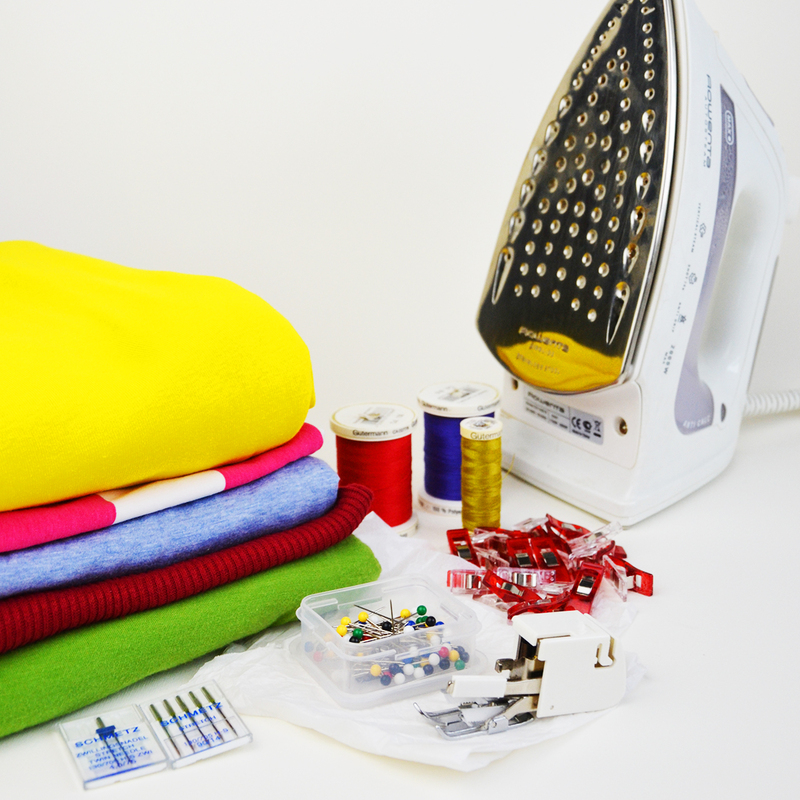 Remember that there is no standard sizing system, so it will vary from pattern to pattern and designer to designer. 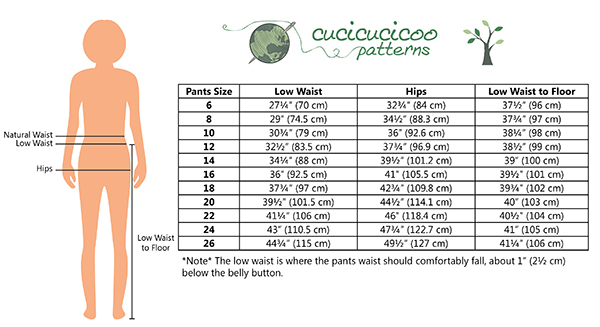 The image above is the size chart for my Evening Primrose Pajama Pants for women. (update 05/02/16: this pattern was originally called “Oenothera Biennis Pajama Pants,” which is why you’ll see that name in the pictures in this post.) My current measurements are 90 cm low waist, 102 cm hips and 106 cm waist to floor. My low waist is between sizes 14 and 16 and my hips also between 14 and 16 but closer to 14, but my waist to floor measurement is size 26. What to do?! If you had read the instructions, you will have learned that the fit of these pants is loose, so when in doubt to choose the smaller size. The instructions also say to choose size according to low waist and hips, and then lengthen or shorten the legs as necessary. 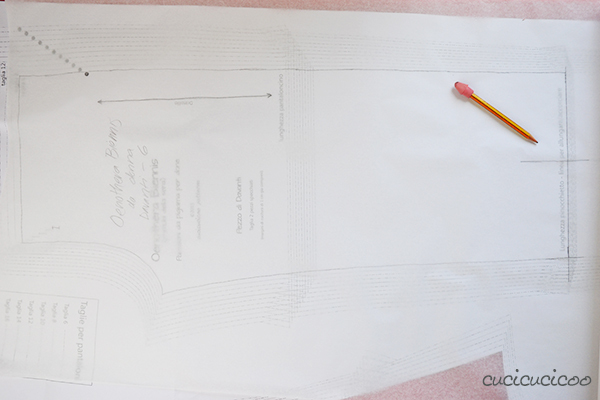 This is generally how you size a sewing pattern, because it is a LOT easier to modify the length of a garment pattern than to modify the girth of one. …and find the lenthen/shorten line. Usually there’s just a line somewhere on the pattern, but in this case the line corresponds with the Capri-length option. First, draw a line (#2) perpendicular to the lengthen/shorten line (#1). 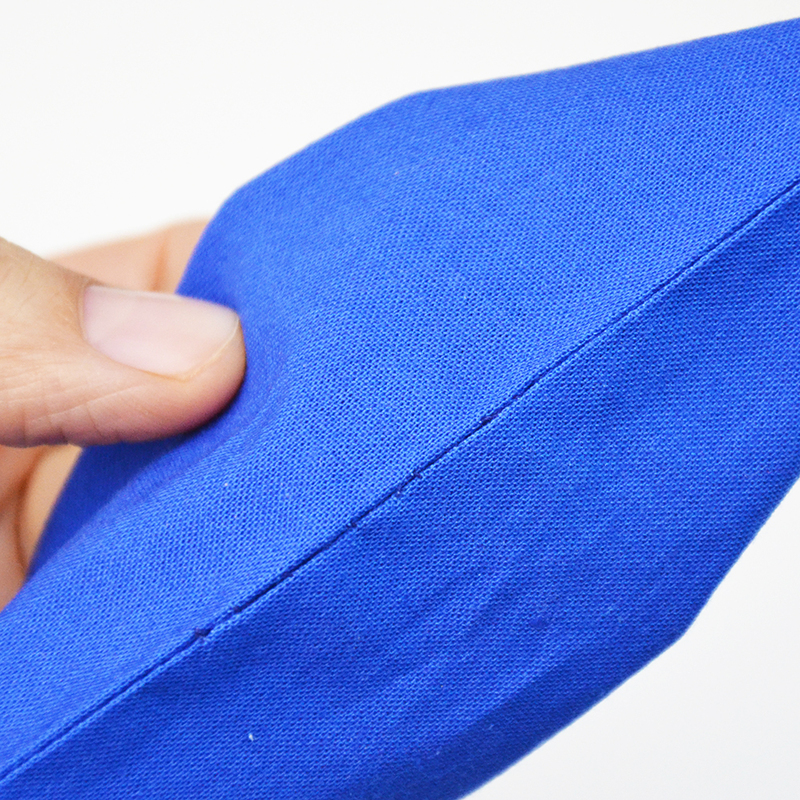 This will help you line up the pattern parts afterwards. 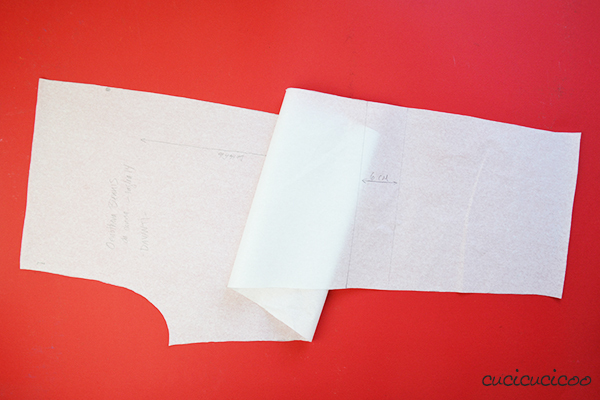 Cut out the pattern along the chosen size (top), then cut across the lengthen/shorten line (bottom). 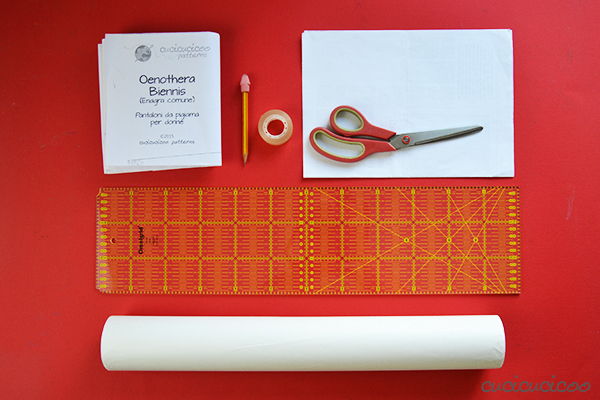 Remember how much you will lengthen your pattern by? 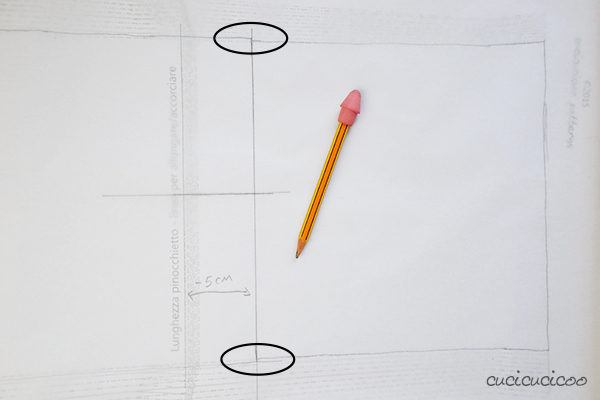 Draw parallel lines on a piece of scrap paper (size A3 is wonderful for adult pant legs) that far apart. 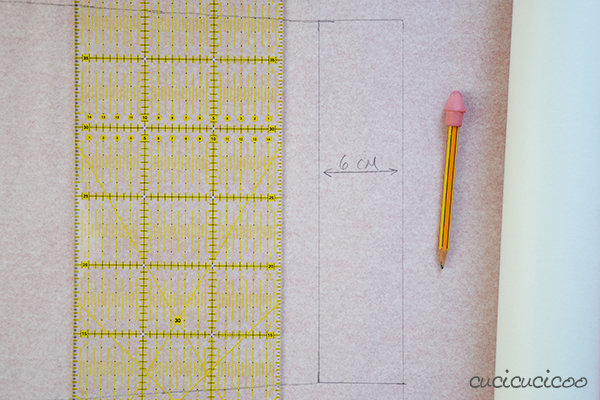 Tape the top part of the pattern with the cut edge along one of the parallel lines on the scrap paper, then use the ruler to continue the perpendicular line drawn previously on the pattern (left). Then tape the bottom part of the pattern with the cut edge along the other parallel line, making sure to line up the perpendicular lines (right). Draw lines to connect the two pattern parts. 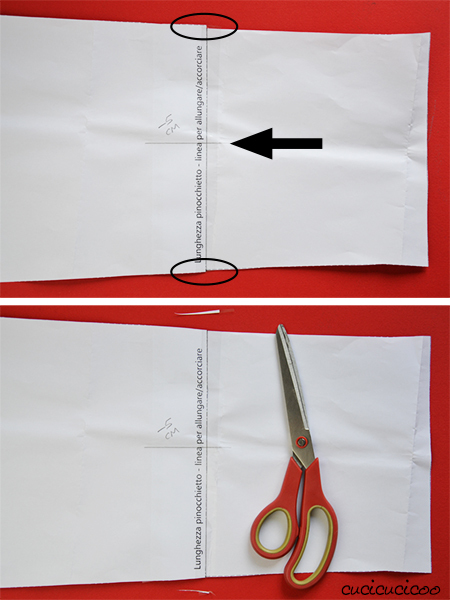 Flip the pattern over, trim off the excess scrap paper, and tape down the edges. 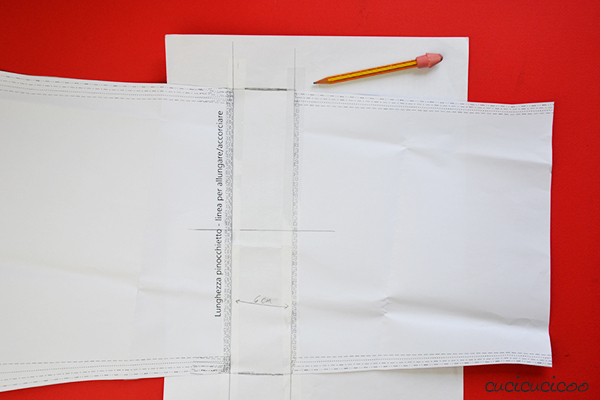 Trim the scrap paper along the sides, smoothing the transition from one pattern part to the other. Ta-da! 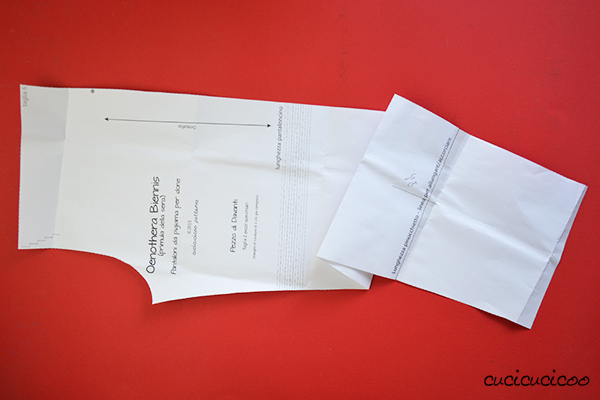 Your pattern piece is now long enough for you! 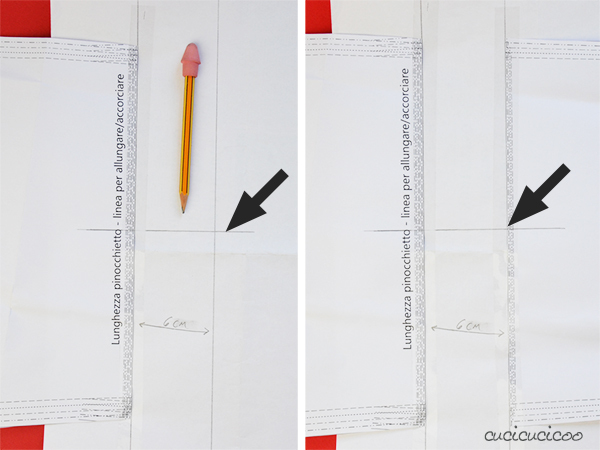 Make sure that you write a note on the pattern of how much you’ve lengthened it. Now do the same with the other pieces that need lengthening (in this case, the other leg piece), then start cutting your fabric! If you prefer keeping your pattern intact by tracing the pieces, here’s a quick way to trace and lengthen at the same time! Trace the pattern all the way down to the lengthen/shorten line. 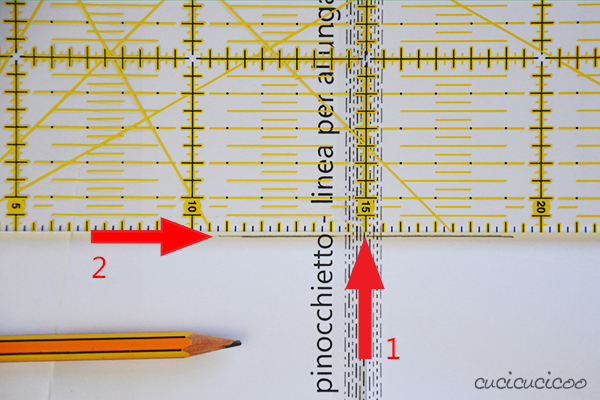 If you forgot to draw that perpendicular line, like I did, use the quilter’s ruler to draw a rectangle right below the lengthen/shorten line. 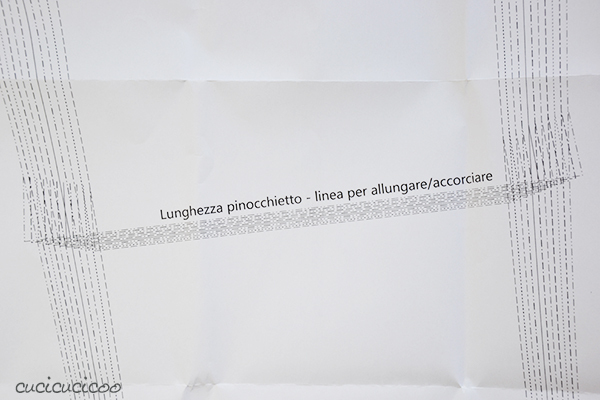 As we did before on the scrap paper, the parallel line will be as far away as the amount to lenthen the pattern. 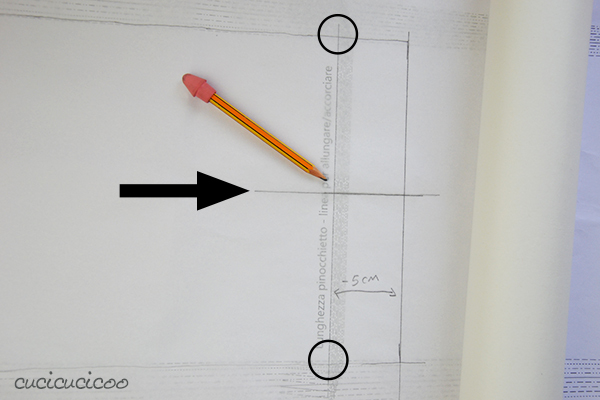 The short sides of the rectangle must come out at 90° angles from the corner of the traced pattern. 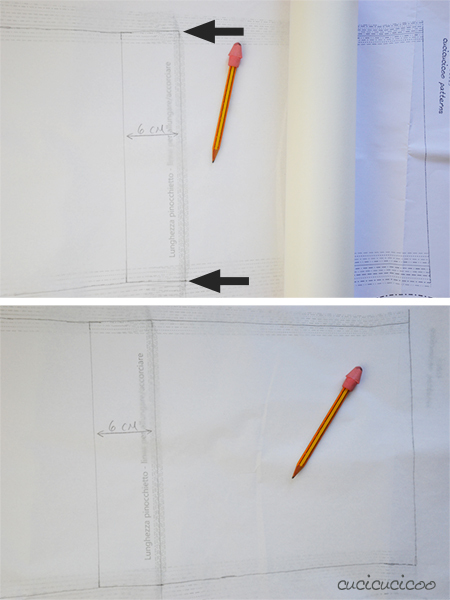 Match the lengthen/shorten line on the pattern with the drawn parallel line, making sure that the corners of the drawn rectangle match up with the corners of the pattern (top). Then continue tracing the rest of the pattern from there (bottom). 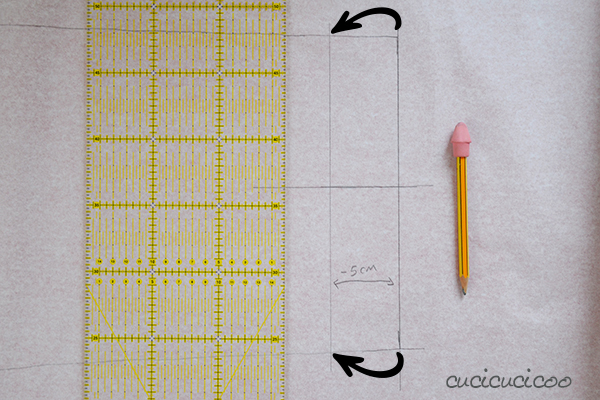 Cut out the traced pattern, smoothing the transition where the rectangle is, and you’re done! Now let’s imagine that you have the opposite problem, that you are petite and the pattern is too long for you. Like we did before, consult the size chart to find your size and the difference between your low waist to floor measurement and the one for your size. 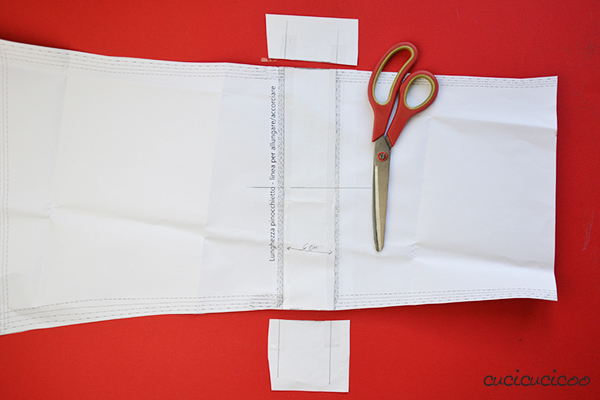 In this example, we are size 6 with a low waist to floor measurement of 91 cm, so we need to shorten the size 6 pattern by 5 cm. 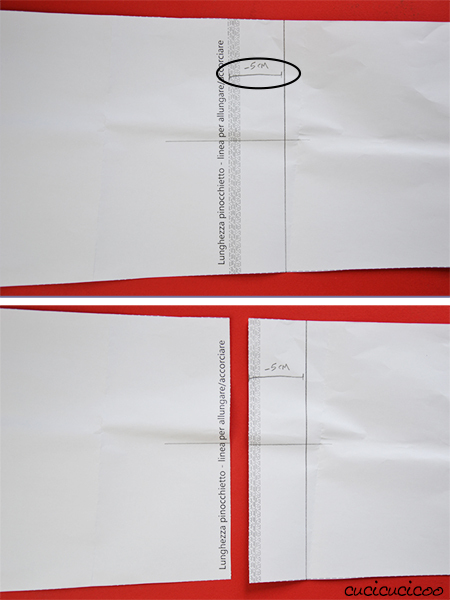 Cut out the necessary size, draw a line perpendicular to the lengthen/shorten line (as explained earlier), and draw another line parallel to the lengthen/shorten line the amount to shorten it by below it (top). Then cut along the lengthen/shorten line (bottom). Match the cut edge of the top of the pattern with the parallel line, matching up the perpendicular line, and tape in place. Notice that the sides will not match up perfectly (top). Trim the sides to smooth them out (bottom). 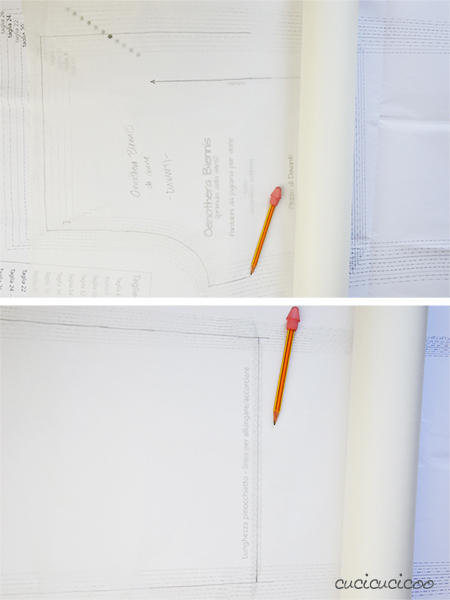 As we did when lengthening a pattern while tracing it, draw a line perpendicular to the lenthen/shorten line, then trace the pattern all the way down to the lenthen/shorten line. Don’t forget to trace the perpendicular line, too. 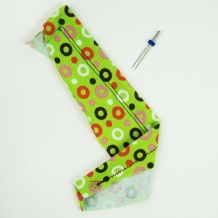 Draw a line parallel to the lengthen/shorten line ABOVE the line by the amount to shorten the pattern. Line up the lenthen/shorten line on the pattern with the second parallel line you drew, matching up the perpendicular line. Don’t worry if the edges of the pattern (in circles) don’t match up perfectly. Continue tracing the rest of the pattern. Again, don’t worry if the sides don’t match up perfectly. 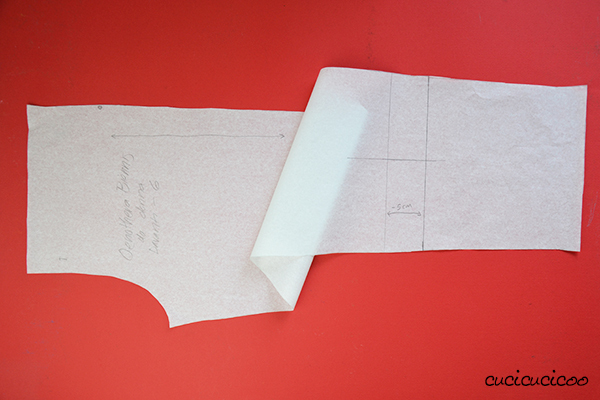 Cut out the traced pattern, smoothing out the transition between the top and bottom of the pattern. And you’re done! 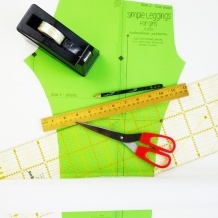 This is a really easy way to modify patterns and will help you sew clothing the perfect length for your individual body. 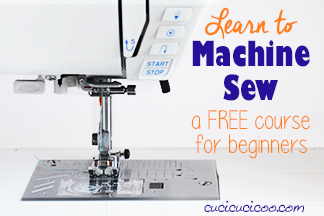 Now you’ll love sewing your own clothes even more! 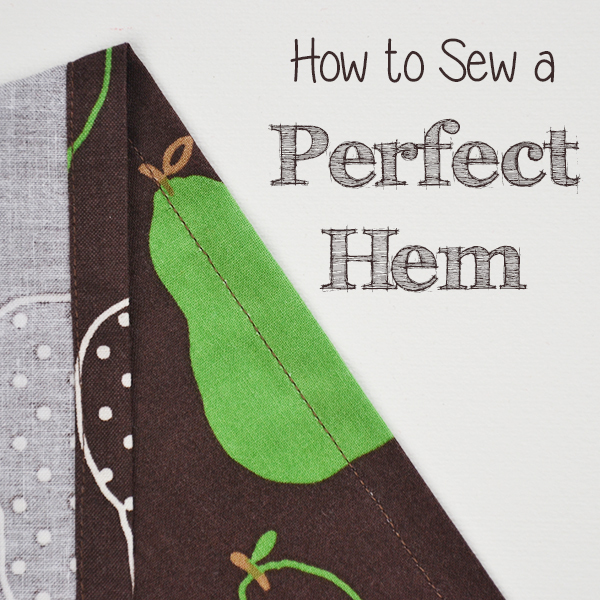 Do you want to try this out on a beginner’s sewing pattern? Well, then try out my Evening Primrose Pajama Pants for women! 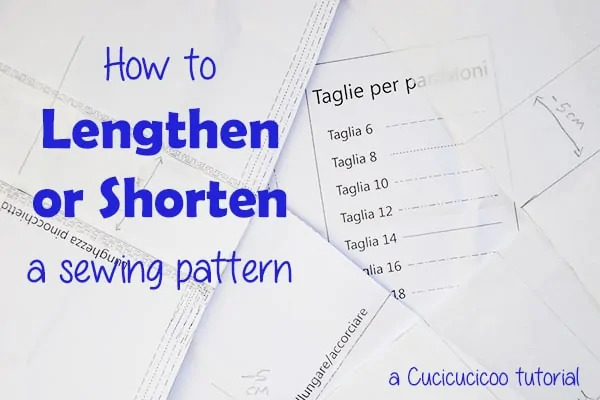 This lesson on how to lengthen or shorten a sewing pattern is extra content in the beginner’s sewing course!